Nobody does elegant, thin geometric necklaces like Gorjana. 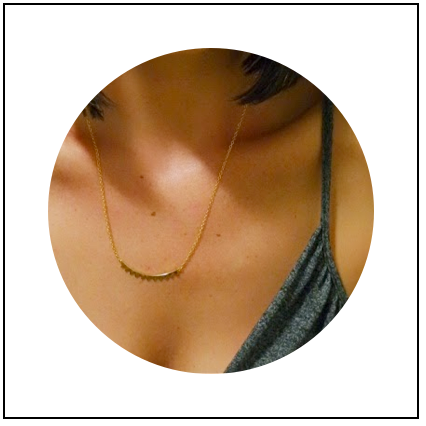 This one "Mika Mini Plate" is the perfect length for layering, or wearing on it's own. Falling perfectly in length between your standard necklace (that will ideally nestle at the collarbone) and a longer one (like this amazing Y-necklace from Baublebar) this is the ultimate layering piece that also looks perfect all on it's own. I'm so excited to add it to my holiday sparkle aresenal. What's in your sparkle arsenal? ?